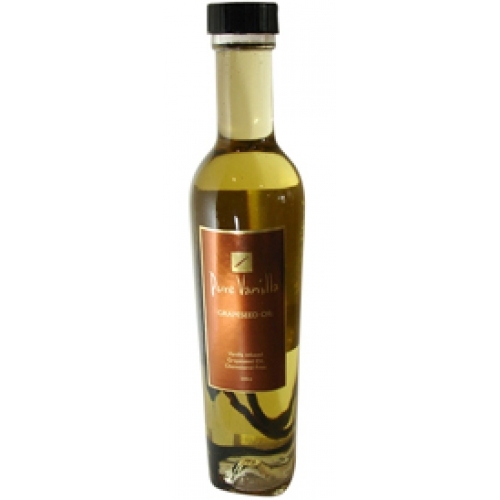 Grapeseed oil is the ideal carrier of vanilla flavours because of its inherent neutrality. Developed with one of New Zealand’s leading Chefs this oil has natural anti oxidant qualities, no cholesterol, and it can be heated to more than 485°F without smoking. Available in a 250ml Bottle or 1lt. PET catering bottle.